Like your steaks rare? Your clothes simple and functional? Think handsome is as handsome does? 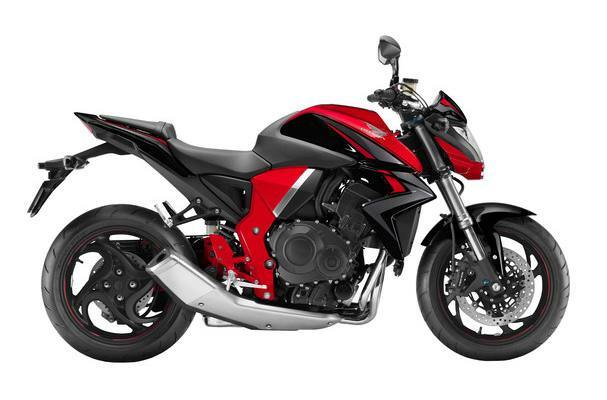 We’re with you—and the proof is right here: the Honda CB1000R. Nothing gets between you and the pure enjoyment that comes from riding a bike like this. That’s because the CB1000R is all about business: the clean, essentials-only layout perfectly frames a fuel-injected four-cylinder 998cc powerplant that’s overflowing with loads of right-now power. The unique chassis incorporates a single-sided swingarm with a high performance single-shock rear suspension that helps make this machine an exclusive choice in today’s market. You can call it a naked bike, a street fighter or a race-bred machine in civilian clothes, but the CB1000R serves as an all-around high-performance machine that’s ready to take you where you want to go. Miles Per Gallon: 37 MPG - Honda's fuel economy estimates are based on EPA exhaust emission measurement test procedures and are intended for comparison purposes only. Your actual mileage will vary depending on how you ride, how you maintain your vehicle, weather, road conditions, tire pressure, installation of accessories, cargo, rider and passenger weight, and other factors.